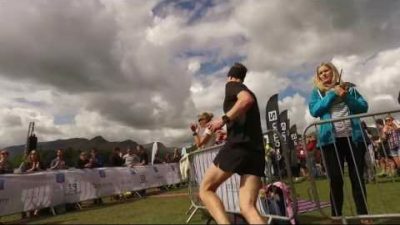 Mark Lamb (Team Mountain Fuel) sets a course record for the Keswick Mountain Festival Salomon Running 5km distance this weekend after winning the Latrigg Fell Race 2 evenings before! The new course allowed the runners to concentrate on just running, as we removed the road crossings from the previous years race and designed a new course. Everyone seemed extremely happy and Mark ran a great time to claim his second victory of the festival's foot races. Of course we can't wait for next year now.... bring it on! Thanks to Mountain Fuel for the film work.